The Mi-Pod is one of the most popular open pod systems on the market, boasting a compact design, refillable pods and an impressive 950mAh battery that’ll keep you vaping all day. The Mi-Pod by Smoking Vapor gives you the best of both worlds: the convenience of a pod mod with the versatility of a refillable pen. Its open pod system allows you to use your own e-liquid; just open up the cover at the base of your pod, fill it up with your liquid of choice (nicotine salts work great!) and replace the cover. To use your Mi-Pod, simply pop your filled pod into the device, turn it on by pressing the power button 5 times, and inhale on the mouthpiece. There’s no fire button, settings to tweak or coils to change: delivering great flavour and impressive vapour production thanks to the organic cotton used in its pods, the Mi-Pod Starter Kit is optimised for a fantastic vape every time. Smoking Vapor’s Mi-Pod features a patented OAS (Oil & Air Separated) system that helps prevent leaking, and has a range of safety features including a 10-second cut-off, short circuit protection and overheating protection. The kit also has an innovative stealth mode: hold the power button down for 5 seconds to turn off the LED indicator for a low-key vape wherever you are! To charge the Mi-Pod's 950mAh battery, use the Micro USB cable included in the box for convenient charging at home or on the go. 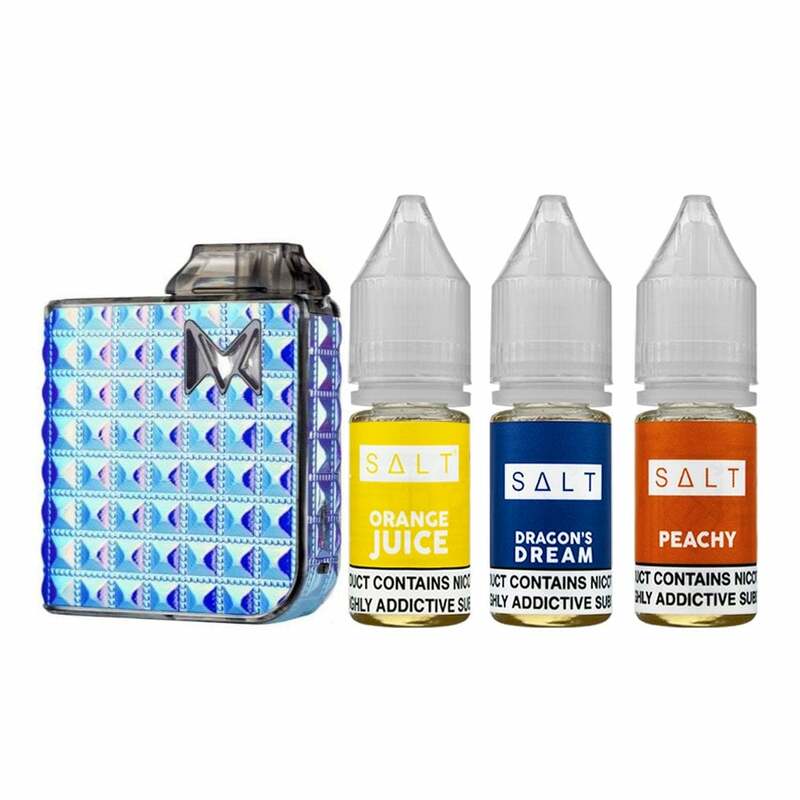 If you’re looking for an easy-to-use starter kit that lets you choose your own e-liquid and has the battery life to last you all day, the Mi-Pod by Smoking Vapor could be the perfect choice. Its a neat little device but it burns your lips. Wouldn't recommend! Grate pod kit , very fast service arrived next day. Simply brilliant. Easy to use, great flavour and cloud, and easy to carry. Only criticism is lack of real air control. Been after the mi-pod for a while. Heard lots of great things about the device so I took the plunge and bought it. At £34.99 it’s one of the dearest pod style systems on the market but as a mouth to lung and direct lung it gets a pass on that fact. The pods I find are way too airy for mouth to lung and the silicone plugs you get are so small you end up losing them the second you take them out the packet. My first pod I’m not sure if there was an issue with as it seemed to dry hit straight away. Second pod is great if a little airy. If I was going to recommend any pod system for a new Vaper or existing vaper I would say, go for the Aspire gusto as it’s cheaper than the mi-one and provides one of the best mtl/dl draws you can get easily the best pod system available.